I was going to reveal this, for the first time anywhere in the world, right here, but Amazon beat me to it... oh well! So here, for the second time anywhere in the world, is the cover for the fourth Nina & Eddie novel, THE COVENANT OF GENESIS. And isn't it a stunner? Can't wait to see how it looks on the shelves! What are they going to be about? For now, let's just say - in proper Bond movie end-credits style - that Nina and Eddie will return! Another small update; both THE TOMB OF HERCULES and THE SECRET OF EXCALIBUR got off to good starts after going on sale a couple of weeks ago, with HERCULES even being chosen by Tesco (the UK's largest retail chain) as one of their books of the week! It then followed that by coming straight in at #4 in their paperback charts, as you can see here (yes, I'm just showing off now, sorry); pretty impressive! 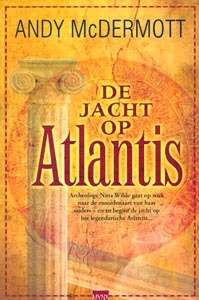 As for the previous book, here's the cover of the Dutch edition of THE HUNT FOR ATLANTIS. I'm really going to have to buy some more bookshelves to make room for my ever-growing collection of foreign editions - either that, or buy a new house! A quick update to announce that both THE HUNT FOR ATLANTIS and THE TOMB OF HERCULES have been sold to Norway, and show the cover of the Czech edition of ATLANTIS. There's also big news on the way, which I'll reveal here as soon as everything's been finalised - stay tuned! With the publication of THE SECRET OF EXCALIBUR coming up fast, I thought it was about time I updated the front page to include it - and also the revised publication date, which has gone back slightly from 3 November to 13 November. (Don't worry, the extra 10 days will be totally worth the wait!) 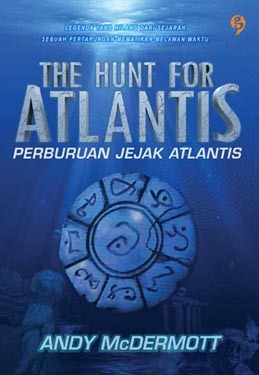 Also featured here is the moody blue cover for the Indonesian edition of THE HUNT FOR ATLANTIS! In other news, it seems I now have a Wikipedia entry. Fame at last, I guess... In true Wikipedia style, it's an odd mix of disturbingly accurate (I don't remember ever mentioning which university I attended in any of my publicity notes) and completely wrong (no, I wasn't born on exactly the same day as Matthew Reilly)! A short update: THE TOMB OF HERCULES has been sold to Italy, the first Western European sale for Nina and Eddie's second adventure. Here's hoping that the rest of the Eurozone follows their example! There will probably still be changes to come during the editing phase, but the story is nice and solid - and there are some awesome action sequences that show off Eddie's bad-assitude to the full. (Though Nina's no slouch in that area either - just wait and see what she does with a boat, a desk lamp and a laptop computer...) There's also Nina's - even the world's - most incredible archaeological discovery yet at stake, so it's one high-octane, turbocharged, no-limits hell of a ride! After 77 days of hard work, THE COVENANT OF GENESIS is finished! Well, the first draft is, at least. Unfortunately, said draft is almost 210,000 words long. (For comparison, THE HUNT FOR ATLANTIS is about 135,000 words.) Gah! That means I need to cut the length of an average novel... from my novel. So there's still a fair bit of work to do, to say the least. But that can wait until tomorrow, because tonight I'll be celebrating with a nicely chilled bottle of Piper-Heidsieck Red Label champagne. (Hey, everyone has their own little traditions.) Woot! 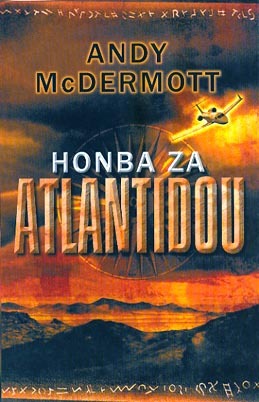 Another quick update with some exciting news: THE HUNT FOR ATLANTIS has been sold to Serbia! Oh, and also to some place called the United States of America. You may have heard of it. Kidding aside, this is really big news - it's not just ATLANTIS that's been sold to the US (and also to Canada, as the deal with Bantam Dell was for North American rights) - it's all four of Nina and Eddie's adventures! I have no idea what the publication dates are yet, but as soon as I do I'll be shouting about them here, as I obviously want the biggest book-buying market in the world to know about my stories! A very brief update to announce that THE HUNT FOR ATLANTIS has added another country to its list of international sales, this time Denmark! 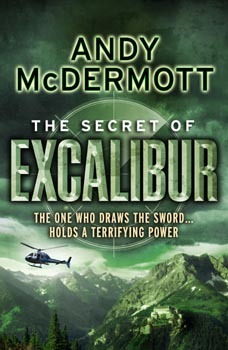 At last, it can be revealed... the cover for my third novel, THE SECRET OF EXCALIBUR! I think it looks fantastic, so well done to everyone at Headline involved in the design. And there's something that makes it even more awesome, at least for me: see that castle in the bottom-right corner? That's actually a real place, the Burg Hohenwerfen in the town of Werfen in Austria... which just happens to be the place where Where Eagles Dare, one of Eddie's favourite films (and by staggering coincidence, also one of mine! ), was filmed. I'm sure that particular image was chosen by the designer simply because it looked cool and fitted the story (in which Nina and Eddie visit an Austrian castle that in absolutely no way, shape or form was inspired by the one in Where Eagles Dare, honest), but it's a great piece of synchronicity. It does illustrate how things change during the writing of a novel; what was in the outline just a few paragraphs, because all the details were in my head, ended up expanding to multiple chapters as I had to explain some backstory and introduce new characters and locations. You'd think that after so many novels (THE COVENANT OF GENESIS will be my fourth published novel, but it's actually the fourteenth I've written) I'd have planned for it by now! 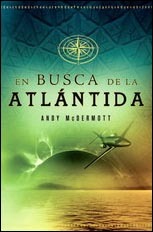 A couple of new foreign-language covers of THE HUNT FOR ATLANTIS for your delectation: the Spanish and Polish editions. THE SECRET OF EXCALIBUR has also had its first sale, to a British book club, so hopefully that's the first of many more deals to come. THE COVENANT OF GENESIS, meanwhile, passed the 100,000 word mark yesterday, taking Nina and Eddie and their travelling companions (not all of whom are exactly good guys...) on to their next destination: Antarctica! What are they searching for there? Let's just say that there's something incredible buried beneath the ice... and that no, it's not an alien spaceship! My trip up north to the Harrogate Crime Writing Festival was enjoyable; I met (and got drunk with) a bunch of other authors, was grilled about writing over dinner by a group of readers (all of whom had read THE HUNT FOR ATLANTIS, which was good, and enjoyed it, which was better!) and even discovered what Andy McNab looks like! I was expecting him to be some sort of grizzled life-sized Action Man, but disappointingly he looked more like the kind of bloke you'd find in the bar at a golf club. Albeit the sort who can kill you with his bare hands. After all that, it was back to work on THE COVENANT OF GENESIS, and as I'd feared the first day was incredibly frustrating because after four days away I'd lost my momentum, so assembling each sentence was as painful as pulling out a tooth with pliers. But things are thankfully back on track now! I found out something very exciting today - THE HUNT FOR ATLANTIS (which is still chillin' in the Bookscan top 50 for a fourth week) has now sold over 40,000 copies of the paperback edition, which only went on sale a month ago: pretty impressive stuff. Next objective, 50,000 sales... and then 100,000! THE COVENANT OF GENESIS is really rolling along: I just passed the 80,000 word mark today, after 24 days of work, so I'm well ahead of my 3000-word-a-day writing target. Which is handy, because I won't be working over the weekend as I normally do - instead I'll be a guest at the Harrogate Crime Writing Festival. If you're there and you see me (and I'm not totally inebriated), say hello! THE COVENANT OF GENESIS passed 50,000 words today. In first draft terms, that's roughly the one-third mark. Unfortunately, in story terms, it's more like the one-quarter mark. I foresee quite a lot of cutting in the future... But the story's progressing well, which is the main thing - three set-pieces down, another lined up to be written tomorrow, and then Nina and Eddie will embark on an excursion, like Quigley and the Rescuers, Down Under! What will be left of Australia after they're done, I wonder? 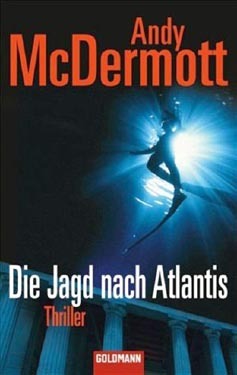 And another foreign sale for THE HUNT FOR ATLANTIS - there's going to be a Hebrew edition in Israel! That brings the total to 19 languages (well, 20 if you include English). Not bad at all. Meanwhile, THE COVENANT OF GENESIS is proceeding apace - I'm over 30,000 words in after just nine days' work, which puts me over my self-imposed target of 3,000 words a day. The first big action sequence is done, which involves pirates - not the wacky, Captain Jack Sparrow kind, but the murderous modern variety armed with AK-47s rather than cutlasses. This being one of my books, it won't be much of a spoiler to reveal that several of them come to outrageously gruesome ends - and since Eddie has just tracked them to their lair, I'll be writing plenty more of them tomorrow! Chloe, We're Running Out Of Time! Guess who's at the Jack Bauer-ish position of #24 on the official chart of all books sold in the UK over the past week? That would be me! (I've been told that I would have made the Top 20 if not for the appearance of several novels from the new Richard & Judy list. A Bauer-style "Dammit!" is warranted there, I think...) THE HUNT FOR ATLANTIS still sold over 10,000 copies in the week, though, so I've really got nothing to complain about! Wasn't That An AC/DC Song? Final news: I plan to start writing my fourth novel, THE COVENANT OF GENESIS, on Monday. (I'll be taking the weekend off to play Metal Gear Solid 4.) Expect further progress reports soon! Short notice as the times have only just been confirmed, but I'll be doing a signing at Heffers bookshop in Cambridge tomorrow (Tuesday) from about 12:30 on, and on Wednesday at 3:30 I'll be doing a radio interview on TalkSport. 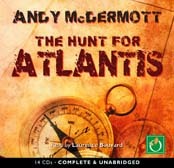 In addition, there's a radio advert for THE HUNT FOR ATLANTIS, which makes it sound like the latest blockbuster movie (which was kind of my intent when writing it!) - you can listen to it by clicking here. Signings, interviews, adverts... it's almost like being famous! Also, a quick 'thank you' to Lilah and Caroline from Fayard, who organised my trip to Paris to promote the French edition of THE HUNT FOR ATLANTIS last week. The Eurostar is a very civilised way to travel! A mini, somewhat self-congratulatory update: THE TOMB OF HERCULES made it into Amazon.co.uk's top 1000 books today, at #966 to be exact. This may not sound that impressive - it's still a long way from the Sebastian Faulkses and Gordon Ramsays in the top 10 - but it took THE HUNT FOR ATLANTIS over six weeks from publication to do the same, whereas HERCULES isn't even out yet! So it's definitely a case for small-scale celebration. 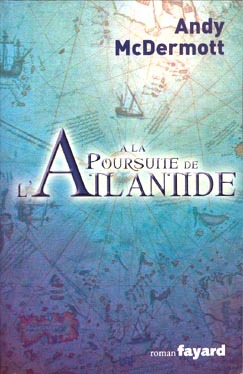 So, on Wednesday the 11th I'm going to Paris to promote the French edition of THE HUNT FOR ATLANTIS for publishers Fayard, which should be an interesting experience - as a former journalist I'm used to being the one asking the questions, not answering them! Tuesday the 17th I'm doing a signing at Heffers in Cambridge (time to be confirmed), and also at some point that week I'll be doing a radio interview with Paul Hawksbee and Andy Jacobs on TalkSport (date to be confirmed). On top of all that, on 19 July I'll be a guest at the Readers' Dinner at the Harrogate Crime Writing Festival. Oh, and as well as preparing to start writing novel #4, THE COVENANT OF GENESIS, I also have the first proofs of #3, THE SECRET OF EXCALIBUR, to read through. Busy! 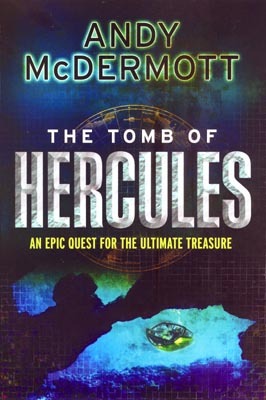 But the biggest day for me is Thursday 12 June, when the paperback of THE HUNT FOR ATLANTIS and the hardback and trade paperback of THE TOMB OF HERCULES all go on sale (though you may be able to find it early in some places; I saw HERCULES in the Bournemouth branch of WH Smith this morning). It'll be nerve-wracking in some ways - even though ATLANTIS has apparently done pretty well in hardback and trade sales, the paperback edition is key, so I'll be keeping all crossable body parts crossed that it's a success. I'm buoyed by the confidence of my publishers, Headline, though - they wouldn't have given me a second two-book deal if they didn't think I had potential! So I'll take this opportunity to thank everyone at Headline for the fantastic support they've given me, with special shout-outs going to Joanna (for her brilliant work with all the foreign-language sales), Becky (your new employers are lucky to have you) and Ross (for getting my books out to the right people, and also for inviting me to some rather good parties), and of course my editor Vicki (for always-constructive criticism, plot-hole spotting and, by no means least, being the one to champion my books in the first place!) It's been a great experience working with everyone there so far: long may it continue! I Believe The Appropriate Response Is "BOO-YAH!" 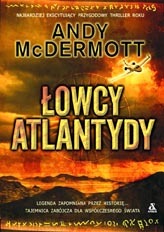 "The Hunt For Atlantis introduced McDermott as a writer of rare, almost cinematic talent. Where others' action scenes limp along unconvincingly, his explode off the page in Technicolor, IMAX-scale, Dolby digital surround sound. And like The Terminator, they never, ever stop - until you reach the last page and collapse, exhausted, onto whichever seat you've been glued to for the past few hours." "...the story reaches its, quite literally, shattering and explosive conclusion. The kind Hollywood would love to show you but can't afford to." "[Andy McDermott's] intentions, he says, are to write books that provide the same pulse-racing, hair-raising reactions as a blockbuster movie. Well, he's done it." 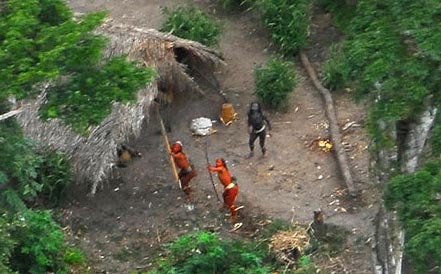 I couldn't help but smile when I saw the news story today about the discovery of a previously unknown tribe in the Brazilian rainforest: namely these guys. 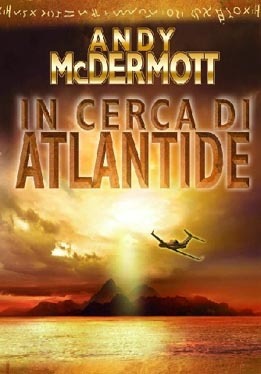 Check out the awesome cover for the Italian edition of THE HUNT FOR ATLANTIS! It even has its own website, so if you can read Italian, take a look. Over the weekend, THE TOMB OF HERCULES was outselling ATLANTIS on Amazon for the first time - and by quite a big margin. Since those are all pre-orders, I'm keeping my fingers crossed for even better results when it actually goes on sale! I'm a big film fan, and if you've read any of my books it won't come as any surprise to learn that I enjoy action movies in particular. Considering that I generally describe my novels as "Indiana Jones meets James Bond", it'll probably be even less surprising that Raiders Of The Lost Ark is one of my favourite movies of all time. (For the record, the others in my top five are Aliens, Die Hard, Back To The Future and North By Northwest. Again, your jaw may not exactly be dropping in shock to discover that.) So saying that I was looking forward to Indiana Jones And The Kingdom Of The Crystal Skull is rather an understatement. One of the reasons why I wrote THE HUNT FOR ATLANTIS in the first place was to get that feeling of excitement and exhilaration a great action-adventure can provide, the breathless sensation of being thrust along by events, desperate to see what happens next... and I didn't just want to experience it as a reader or viewer, I wanted to create that feeling. Since it was pretty unlikely that Hollywood would hand me hundreds of millions of dollars to do so in movie form, a novel it was (which had the advantage that I could include colossal temples housing 60-foot-high golden statues or speeding locomotives colliding head-on or people being thrown into helicopter blades, without worrying about budgets or the need to get a PG-13 rating in the States). ATLANTIS had many influences, but when the story follows a globetrotting archaeologist, it's not hard to guess that foremost among them was one Henry Jones Jr. So the return of the fedora-sporting obtainer of rare antiquities was a big thing for me. Could it live up to two decades of expectations? Would it succumb to the temptations of lazy self-parody for cheap laughs? 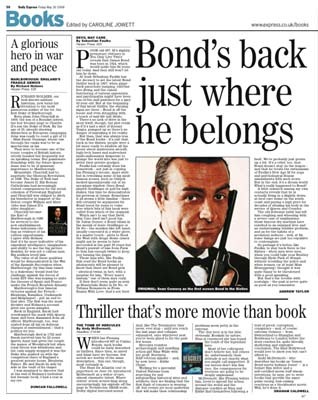 From a purely mercenary point of view, will it help - or hinder - sales of adventure novels? And most importantly, is it entertaining? The answers, in turn: mostly; occasionally; hopefully the former; and a big fat yes. I don't want to spoil anything - the film only came out today, after all - so I won't give away any specific details, other than to say my problems with it were that the extensive (and fairly obvious) use of greenscreens and CGI rather than real locations and vehicles in the big chase saps much of the tension, some of Indy and co's escapes go way beyond preposterous into outright cartoony (there's one sequence involving a tree that could have come from Road Runner - you'll know it when you see it), and the climax... Well, it'll depend on whether you can accept the switch from mysticism to science fiction. I could, more or less, but it did remind me of the endings of (in decreasing order of quality) The X Files Movie, The Mummy Returns and Mission To Mars, which is not really a good thing. But... so what? The more important thing is that it's a new Indiana Jones movie, something I've waited 19 years to see. And it works. Harrison Ford may be a pensioner, but watching him beat up guys half his age somehow never looks anything but right. The booby-trapped tombs, the nasty creatures, the gunshots that sound like small explosions, the punches that sound like small explosions, the fedora, the whip, the fear of snakes... they're all there. Is it as good as Raiders? No, but few things are. Is it as good as the other two movies? I'd say yes. Indy's back, and it's like he never went away. So that was me looking at the film in my old job of film critic; what about as a writer of adventure novels? 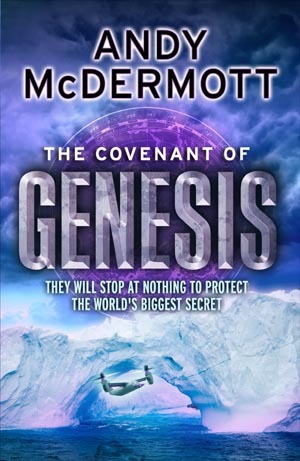 Right now, I'm in the final stages of preparing my fourth novel, THE COVENANT OF GENESIS, and fortunately the two stories have nothing in common in terms of plot. But there's one thing I may have to tweak before I start writing - Indy makes a comment near the end of the film about the nature of the treasure, and in my current outline I have Nina saying almost exactly the same thing, word for word! So what is the secret of Excalibur? Well, I'm not going to give that away yet - you'll have to wait for the book! Arriving at my door today was the first foreign-language edition of THE HUNT FOR ATLANTIS, namely the French translation published by Fayard. Chase's 'catchphrase' in French was translated as "Nom d'un chien, on n'est pas dans la merde!" Which my appalling schoolboy French tells me is something to do with a dog and, er, the stuff that comes out of a dog! Let's see if anyone gets that reference! The reason for such an obscure headline is to celebrate the fact that THE TOMB OF HERCULES has just been sold to Poland. More countries to follow soon, I hope! I also got my first finished copies of the hardback and trade paperback of HERCULES this morning, and they both look fantastic. Can't wait to see them on the shelves! No sooner do I say that THE TOMB OF HERCULES is still coming out in May than I learn no, it's actually been put back until June. This does, however, mean that the paperback and audio editions of THE HUNT FOR ATLANTIS and the hardback and trade paperback editions of THE TOMB OF HERCULES are now all coming out at the same time - 12 June. So it's going to be quite a big day! It's still mildly annoying, though: firstly because I'm an impatient type of chap who wants everything now (three weeks before I can play Grand Theft Auto IV? Over a month to wait for the new Indiana Jones film? ), and secondly because I get paid on publication! Rewrites! A term almost as welcome to any author as 'libel lawsuit' or 'pulped'. That's what I've been doing for the last few weeks (hence the lack of updates), after my editor thought a few parts of THE POWER OF EXCALIBUR needed tightening up. Annoyingly, after thinking about it, I realised she was right. (Even more annoyingly, it meant putting a character whom I'd taken out of one section in an earlier rewrite back into it - I would have saved myself a lot of hassle if I'd stuck to my original outline!) But everything is now coming together, and yes, the book as a whole is definitely better for the changes. Which is ultimately what matters. So thank you, Vicki, for all your constructive criticism, even if we disagree about the duck thing! I also recorded a short video interview for my Italian publishers, Longanesi, about In cerca di Atlantide, which should be appearing on their website soon. THE TOMB OF HERCULES has just garnered its first foreign-language sale today, being sold to a publisher in Russia. It's also been sold to a UK book club. Where's My Book Going To Be Sold? In-Donesia! A quick update: THE HUNT FOR ATLANTIS has now been sold to an Indonesian publisher, by odd coincidence just after I decided to set part of THE COVENANT OF GENESIS in that very country. Maybe I should also decide to set other parts of it in the United States and Canada and see what happens! The horror! The horror! I've just had a week with no internet connection (cheers for that, Virgin Media), and it felt like going back to the Stone Age. You don't realise just how much you take technology for granted until it stops working... Anyway, now I'm back online I decided to update the front page with the upcoming paperback edition of THE HUNT FOR ATLANTIS, an advance copy of which dropped through my letterbox this morning, and the hardback of THE TOMB OF HERCULES. And now that's done, I'm going to look at every single site on the internet to see what I've missed. THE POWER OF EXCALIBUR is finished! I submitted it to Headline today after one final, nitpicky, have-I-missed-any-dumb-typing-errors readthrough. (Which I almost certainly have even now - it's amazing/horrifying how easy it is to miss them.) Final wordcount: 125,747 words - quite a reduction from the original 168,000! However, I can't kick back and relax just yet, as no sooner do I finish proofreading one novel than I have to proofread another - in this case, THE TOMB OF HERCULES. It's the last chance to spot any mistakes which may have crept in during the typesetting process - like one I found today, the sentence "Chase flashed him a grin" somehow turning into "Chase flashed him again", which makes the scene very different! Firstly, a quick apology to anyone who's emailed me but hasn't had a reply yet; I've been completely wrapped up in doing the revisions for THE POWER OF EXCALIBUR since the New Year, and have also got to check the final proofs of THE TOMB OF HERCULES, so I'll respond properly when my workload's cleared, I promise! Pretty cool, eh? And the second bit of news is that there's a full-page interview with me in issue 11 of Sci-Fi Now magazine, which has just gone on sale in the UK. So many thanks to everyone on the mag! To keep the News page from getting too long, I thought this would be as good a time as any to break it up, so the 2007 page is now available here. Anyway, Happy New Year to you all - it's certainly got off to a promising start for me! THE HUNT FOR ATLANTIS not only reached #174 in Amazon.co.uk's sales rankings today, its highest to date, but also made the top ten of all thrillers on Amazon. And there's more - the book has just been sold to Bulgaria and Turkey, bringing the total number of countries to 18. I've had quite a lot of emails from people all around the world telling me how much they've enjoyed the book, so thank you to everyone - and look out for THE TOMB OF HERCULES this spring!